The musical trilogy titled, The Vodou Horn; Water Prayers for Bass Clarinet and Dr. Merengue are musical offerings to Marasa Twa, known in the spiritual traditions of Haiti as the magical triplets that manifest divine mysteries. Austerlitz is no stranger to Haitian soil. 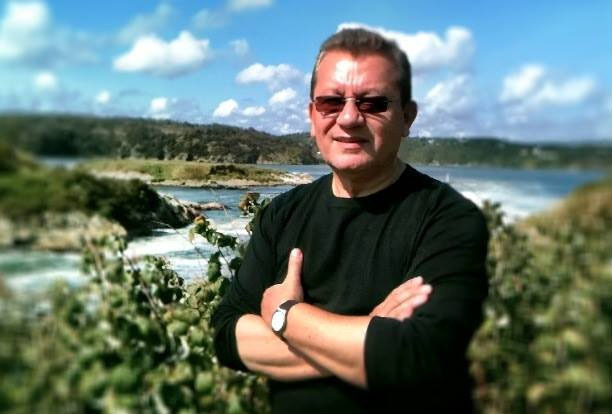 For over 30 years he has participated in spiritual pilgrimages, attended religious ceremonies and received traditional knowledge and guidance from his fellow musicians and the elders. Over time, he developed “A Vodou Horn sound on the electronic bass clarinet,” which figures prominently on this record. The Vodou Horn celebrates the power of Rara (processional music of Haiti), salutes the diety Legba (the gatekeeper) and the Congo-derived tradition of Soucri through traditional Vodou songs with elements of jazz and rock. Also, it encourages work, cooperation, and the spirit of collaboration. The sound is raw (at times, it sounds like a field recording), powerful and magnetic. 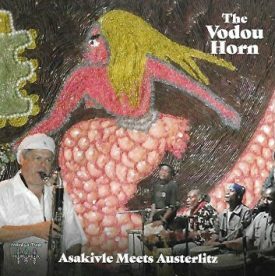 On a broader scale, The Vodou Horn celebrates Haitian music and culture and Austerlitz’s musical journey. Much like his mentor, the historian, and writer Robert Farris Thompson (aka “Master T”), who specializes in the art of Africa and the Afro-Atlantic world, Paul Austerlitz has carved out a unique place for himself in the areas of Dominican, Haitian and World Music. The Vodou Horn’s vision, interpretation and, intent are unique and spiritually uplifting. Highly recommended. Tracks: Gada yon Rara; Titinjo; Zaka’s Wedding; Met, met, met; Lamesi; Latibonit Yo; Carolyn and the Mermaid; Se mambo; Zilibo; Rara Jam; Rel Bondye; Gade you rare: Remix. Personnel: Paul Austerlitz; Franck Desire; Chico Boyer; Monvelyno; Fritzner Calixte; Miseau Charles; Elda Brunache; Jerome Simeon; Jean Marie Loussaint; Melissa Gresseau. Recorded in Haiti and New York City.